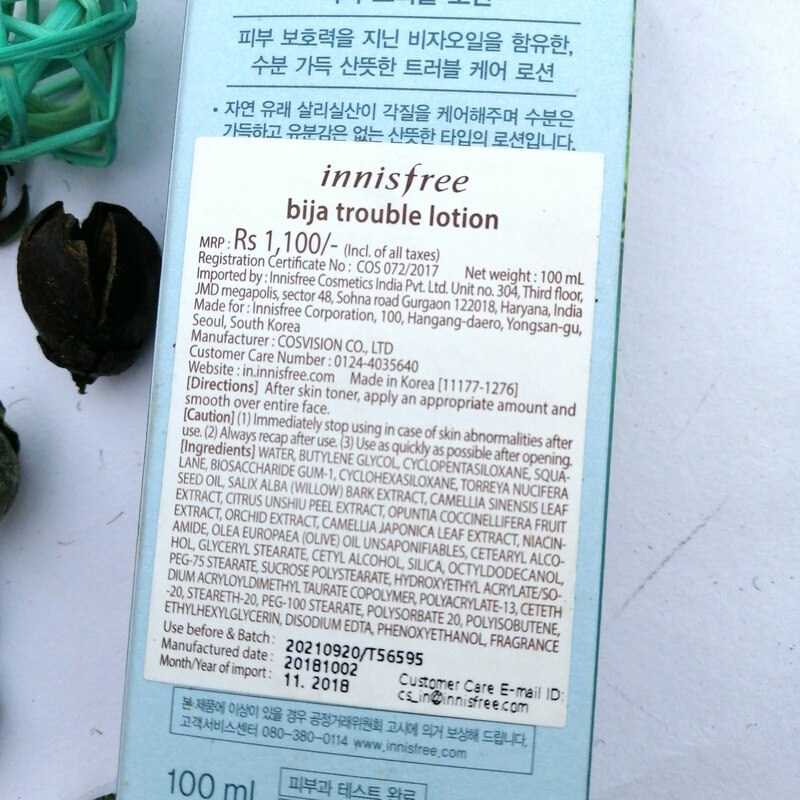 If you are suffering from irritated skin, then Innisfree Bija Trouble Lotion is for you! 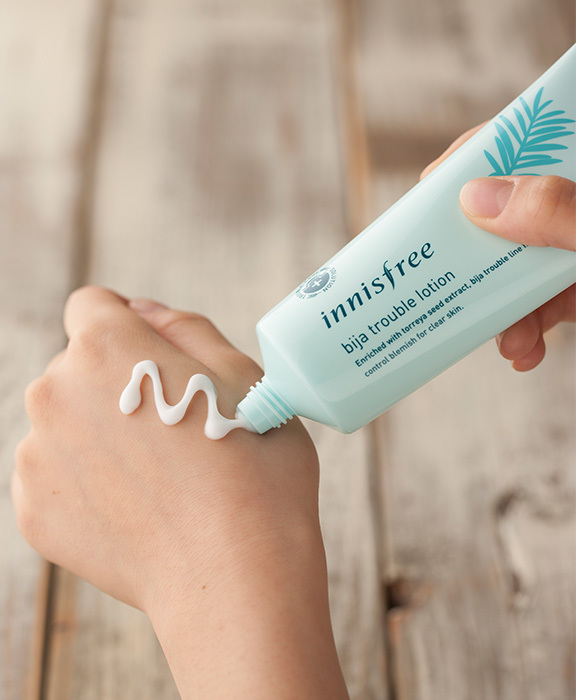 This watery moisturizing lotion helps to clear and treat troubled skin with its outstanding protection power of Jeju Torreya seed oil and natural originated salicylic acid. It has outstanding healing effects of the Torreya seed oil help troubled skin. Contains natural salicylic acid for exfoliation and blemish care. 100% Natural essential oil: The scent of pine, juniper berries, and the forest comfort your mind and body. 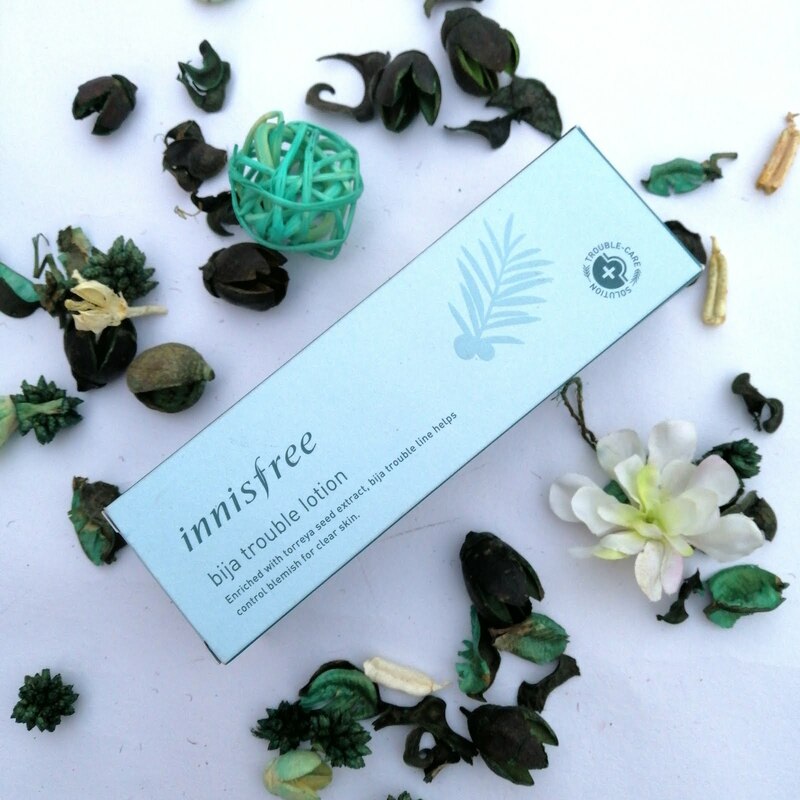 The Innisfree Bija Trouble lotion comes in a beautiful minty aqua blue-green tube with a cap packed in a nature-friendly box with same coloured prints. I really love how this brand is so eco-friendly with their packaging as well as their products. The prints done on the box was made using Soy-based ink which is free from harmful chemicals thus no harm done to nature. 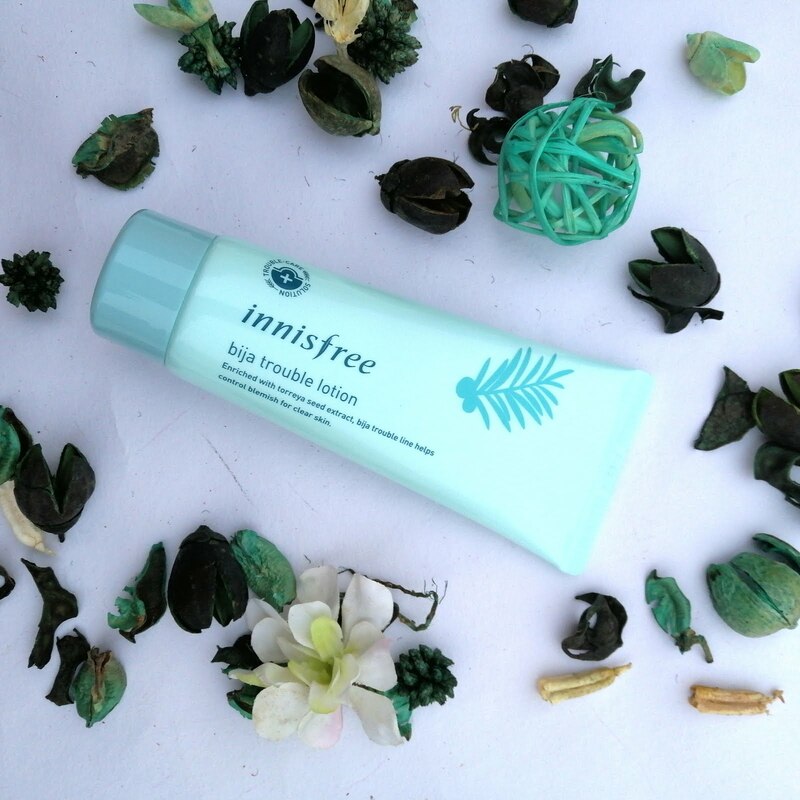 Also, as per their efforts for recycling, you can return the empty tubes and containers to the Innisfree stores in your locality and get points. Use these points for a discount on future purchases. Isn't it fabulous? Wasn't effective on blemishes as it is mentioned on the pack. Overall, I really liked this moisturiser. it is gentle on my skin and did not break me out. 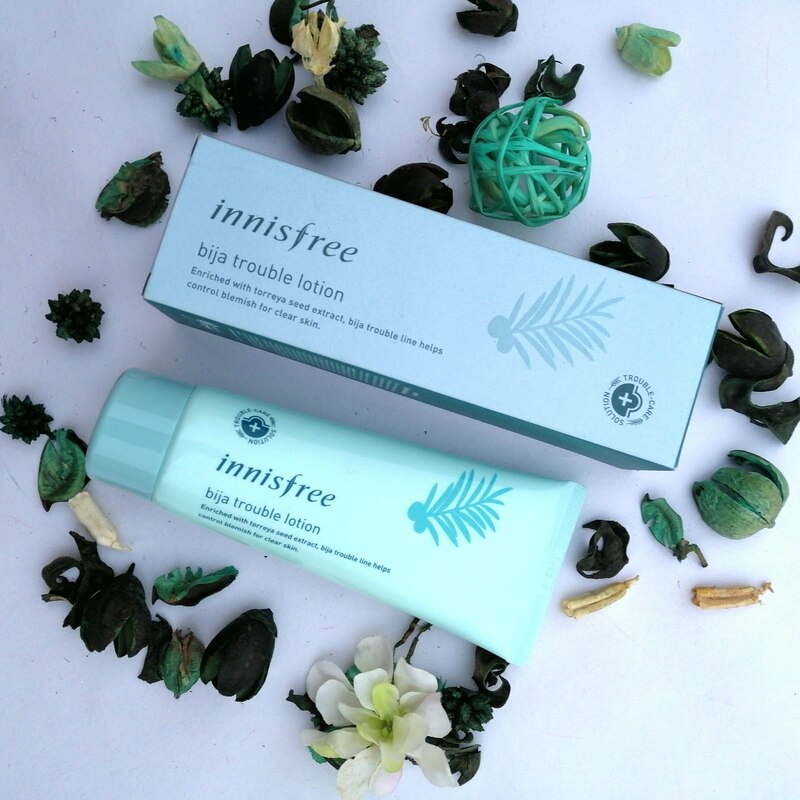 If you have tried Innisfree Bija Trouble range, do tell me about it in the comments below. What is your say about Korean Beauty, K beauty and skin care, I want to know in the comments.